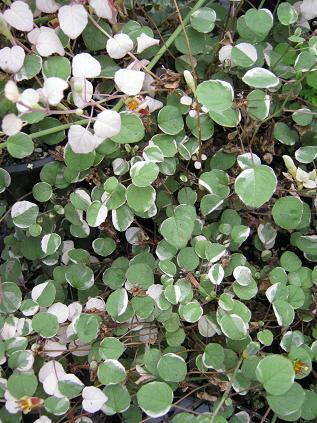 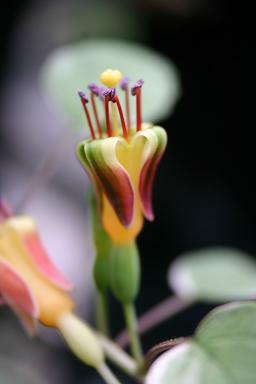 The variegated form of Fuchsia procumbens seems to be as vigorous as the green form. 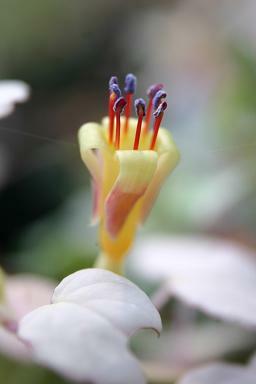 Occasional shoots form that are pure white, and the flowers they produce are yellow, which makes them the only truly yellow Fuchsia flowers I know (in spite of the rash of yellow promises from new hybrids). 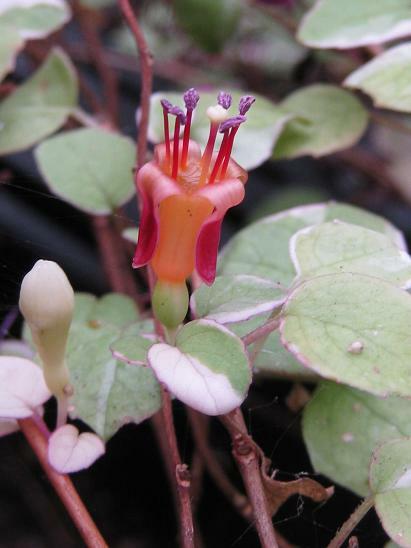 'Wirral' was registered by Bryan Breary in 1996 though the sport had originally been found on F. procumbens by John Pugh. 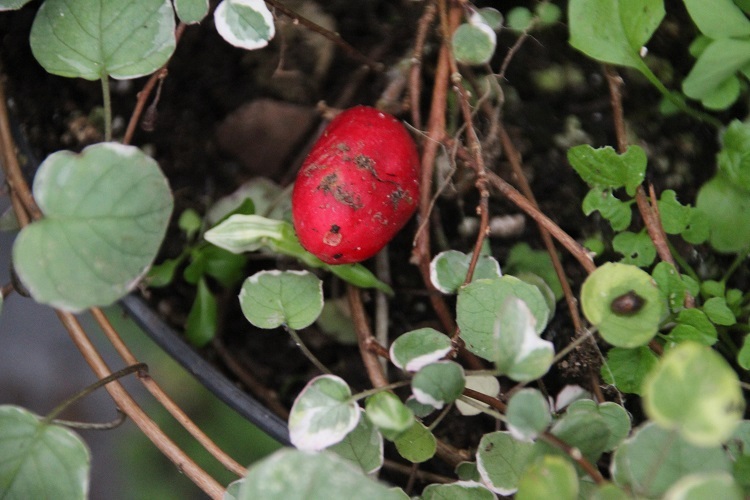 At first it was distributed as 'Argenteus' but the name was changed at registration to conform to the requirements of the International Code of Nomenclature for Cultivated Plants (no latinised cultivar names).